However strange it may sound funeral flowers are what I love to do the most. Its such a special thing to get right and a fitting tribute can make a horrible occasion bearable. This spray was for a gentlemen's funerals so I used blues, purples and greens. 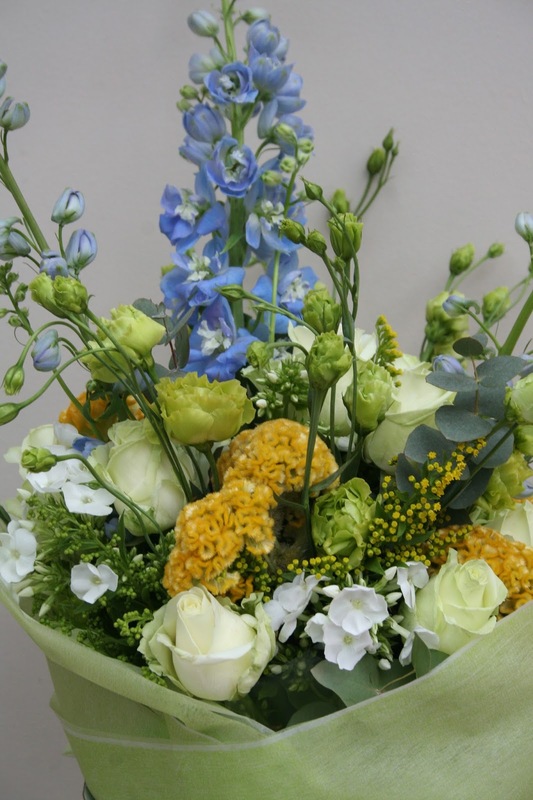 We have in this arrangement the purple calla lily, Blue delphiniums, Green Eustoma and solidago(golden rod). A variety of foliage helps to finish this arrangement off. Please leave me a comment. Your feedback is important!